← Wondering what to do with left over mashed potatoes? Why not make cake! To make the buns in the photograph, we made the recipe for 1 pound of dough and divided it into 6 buns which we then baked in a 350 degree oven for 20 minutes. TIP: The recipe calls for either oil or butter. We used oil (canola) but would use butter next time. The flavour of the dough is so mild that we could taste the oil. The method is simple: mix everything together well and pop it in the refrigerator overnight. Then you can shape it into various forms depending on what you want. We made half a dozen buns which still tasted great the next day. (We can’t tell you if it lasts longer than that because we polished them off the second day!) The best part is that the dough can stay in the fridge for up to 5 days and you can just bake what you need – meaning your bread is always fresh. We can’t wait to make it again. This dough would be fantastic with additions like dried fruit, cheese, or chocolate chips. Rural Route Lupiac uses it to make a garlic parker house pull apart loaf and a cinnamon pull apart loaf. Both look fantastic – as usual. We also want to try an egg wash or even a brush with melted butter before baking. 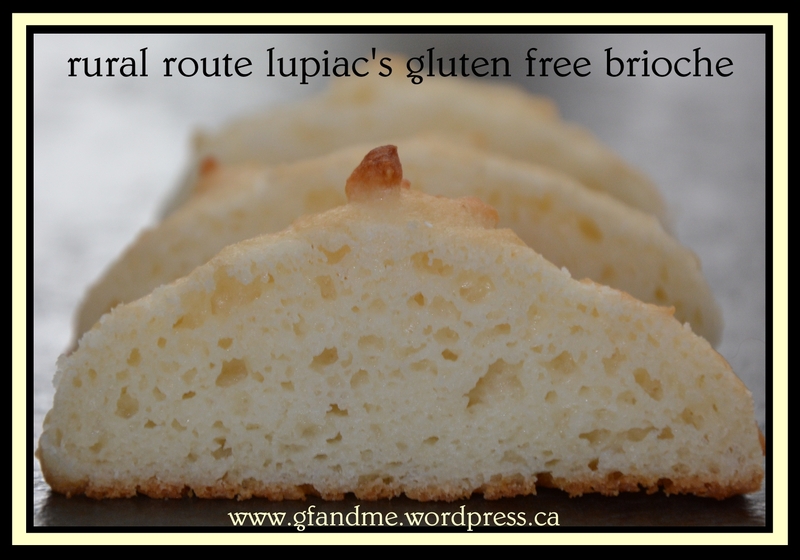 This entry was posted in Baking, Recipes and tagged bread, celiac, Christmas, gluten free, Rural Route Lupiac, tapioca flour/starch, thanksgiving. Bookmark the permalink. You’re welcome. And it’s so easy. Thanks so much for the link back and the sweet comments, gfandme. 🙂 I’m so glad y’all enjoyed this recipe and I agree…it would be so easy to add different mix -in’s to this dough. You’re so welcome. Hope you get lots of traffic!